The real "OG" of all African Brushstroke camo patterns, and now tragically in short supply! 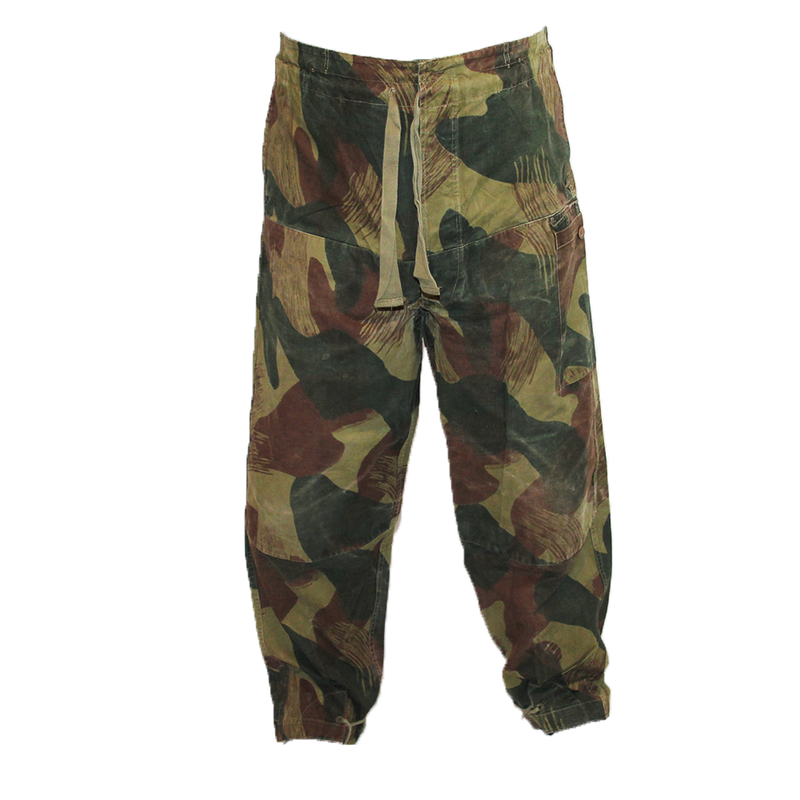 If only these pants could tell their stories. 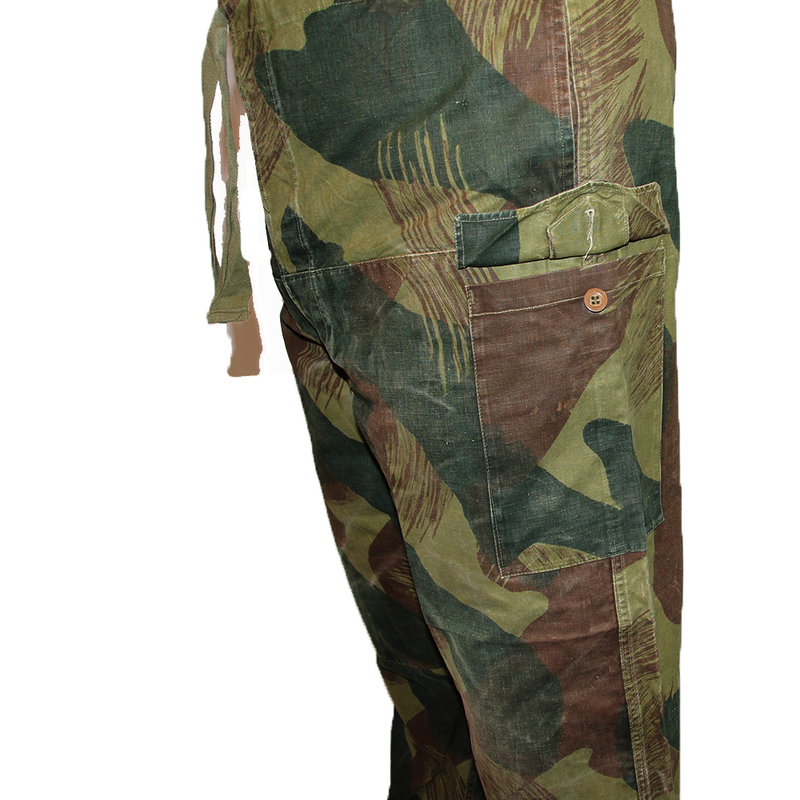 These trousers saw use with conventional forces and mercenaries alike during the Congo Crisis in the 1960s, designed as a functional rugged pant adapted to African Bush War conditions. 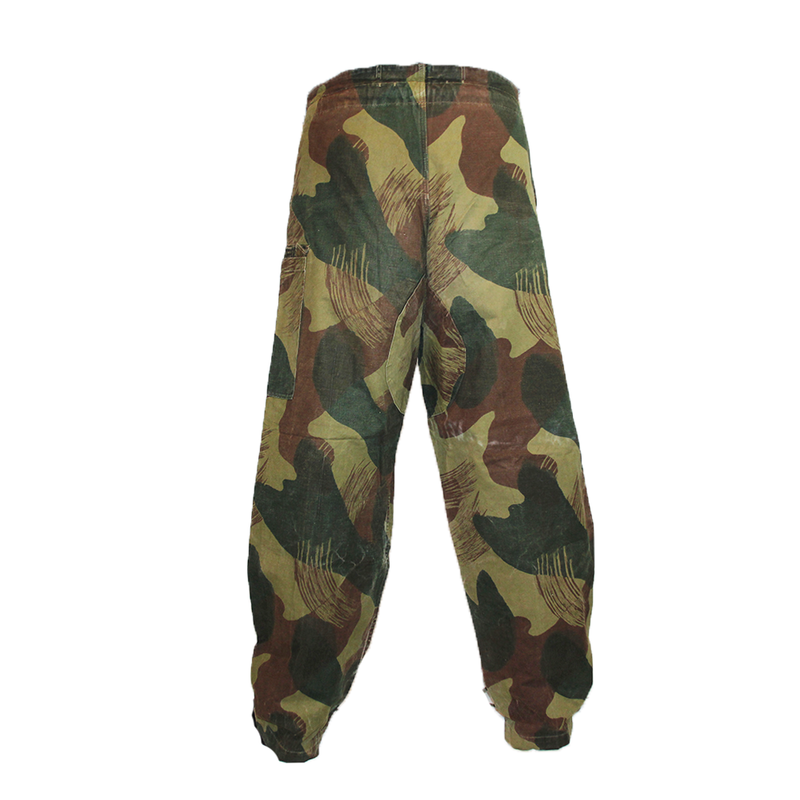 With direct inspiration taken from British Denison smocks and French Lizard patterns of the 1940s, the unique pattern of these pants were in many ways a "stepping stone" to future lizard and brushstroke patterns that we all know and love today. 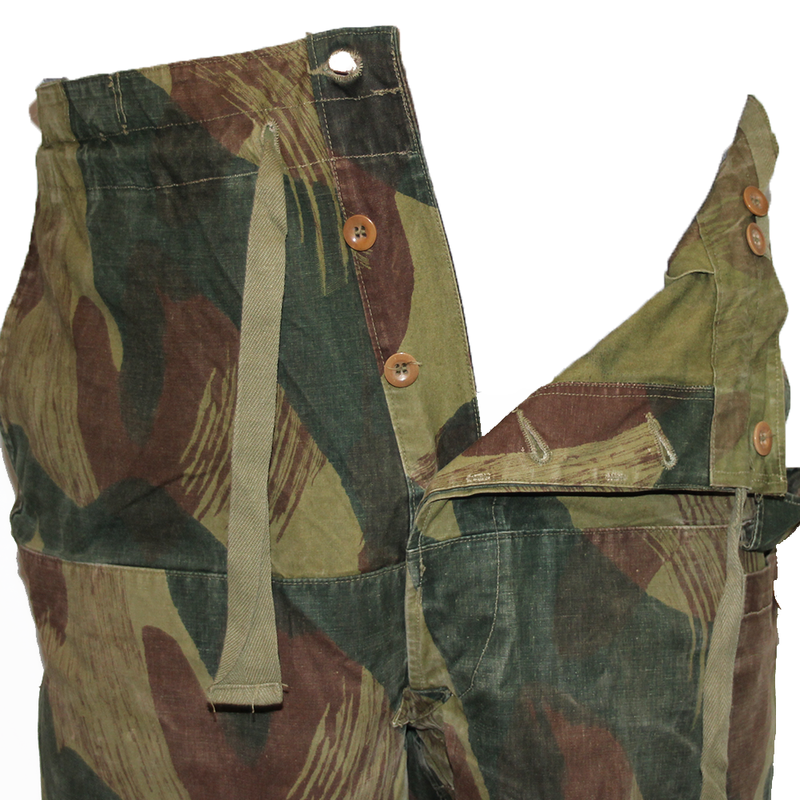 These pants feature front cinching ties, leg cinching ties, two large buttoned cargo pockets, and suspender buttons. As they were intended to be worn strictly with suspenders in an older Belgian cut, they do not include belt loops. 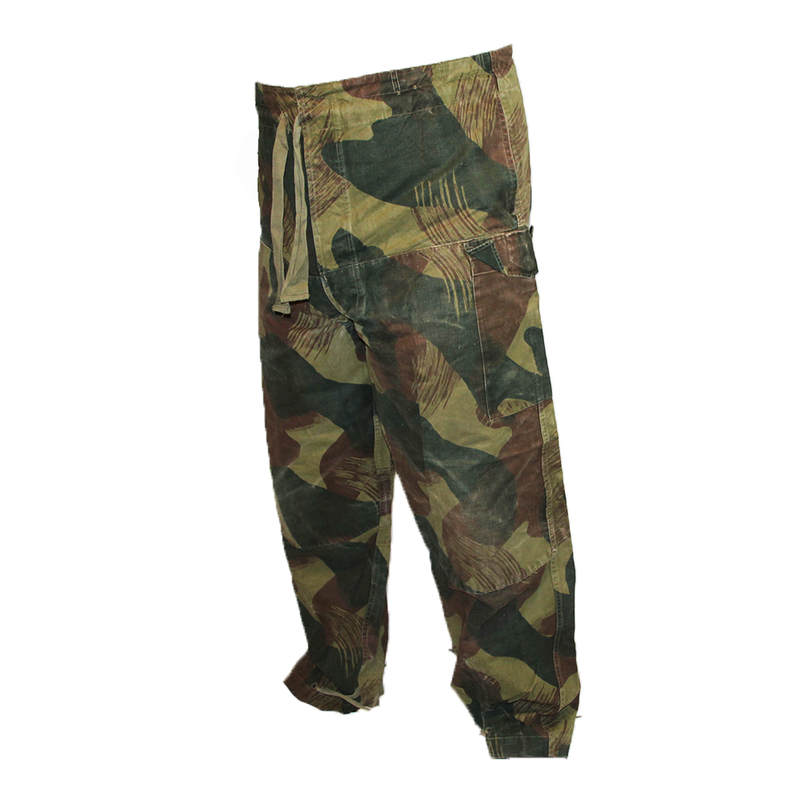 At one point, these pants were extremely common as far as geniune Bush War kit went, but now these are becoming exceedingly rare. These are probably the one ones we'll ever be able to get our hands on, and in surprisingly good shape for old milsurp!